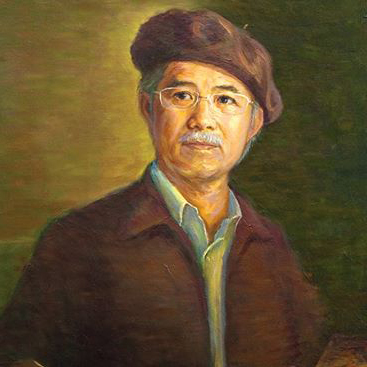 Woo Seng Non is widely regarded as one of the primary movers of Malaysian art although he was born later than many other veterans in the Malaysian art scene. Born in Kampar in 1942, Woo’s art education come through from the Hong Kong Academy of Fine Arts in 1968 where his techniques in oil painting came through his tutelage with Master Chan Hoi Ying, renowned artist during his time where his work was one of the 3 top finalist at one of the global art competition organized by the highly prestigious ASOPA (American Society of Portrait Artist). It was through this education that Woo has adapted and eventually carved his own identity in the art world. His realistic paintings are known to be highly expressive and confident and that can be seen through many exhibitions and shows which he has been involved in. Apart from that, Woo was also previously employed at the New York Art Gallery, a position he worked from 1971 to 1980. He would then return to Malaysia where he would embark into a different career path and into the art education industry where he founded the Hung Yang Academy of Art in Penang. Today, he is still very much involved with the art industry today where he now chairs the Penang Oil Painting Society.